One night, Mikado Ryuugamine accepts an invitation to Shinra Kishitani's apartment, eager to talk to Celty as quite some time has passed since the two last spoke. But, much to his astonishment, he finds that a large group of Ikebukuro's finest has gathered there for a hot pot party. Already confused with the current situation, Mikado is further surprised to see that his friend and fellow Raira Academy student Anri Sonohara is there as well. 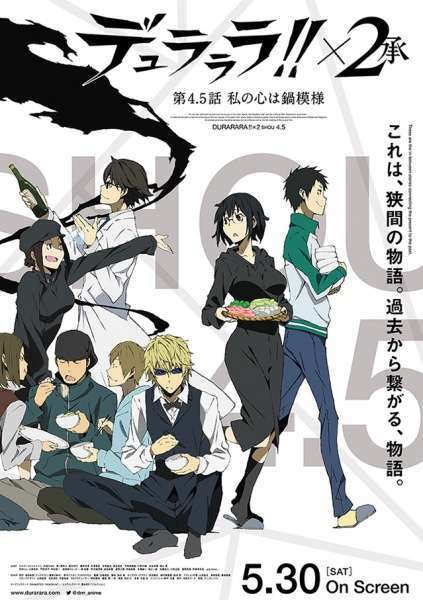 As the two decide to take a seat together, a few members of the group begin reminiscing over events from days past: Mikado recalls an adventure from his childhood with Masaomi Kida, Anri explains how she came to be friends with Mika Harima, and Shizuo Heiwajima tells of his first meeting with Tom Tanaka.